Assistance on arrival and transfer to the hotel. Half day s/seeing of Old ad New Delhi. Overnight at hotel. Transfer to the airport for connecting flight to Bhuvaneshwar. Assistance on arrival and transfer to the hotel. 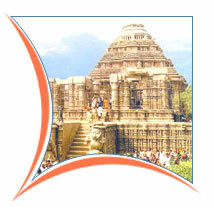 Afternoon, proceed for city tour of Bhubaneshwar. Morning, proceed to Puri. Enroute visiting the Konark Sun Temple. Afternoon, city tour of Puri visiting the Jagannath Temple. Morning transfer to Bhuvaneshwar in time for connecting flight to Calcutta. Meet on arrival and transfer to the hotel. Morning, site seeing at Calcutta and transfer to airport for connecting flight to Bagdogra. 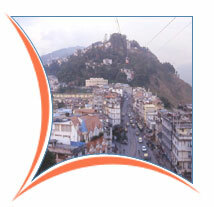 Meet on arrival and drive to hotel in Darjeeling. Rest of the day at leisure. Morning, proceed for city tour of Darjeeling. Afternoon at leisure. Early morning visit to Tiger hill for sunrise. While returning, visit Ghoom monastery. Rest of the day at leisure. Overnight at hotel. Morning, proceed for Gangtok enroute visiting Kalimpong. On arrival check-in at the hotel. Morning, city tour of Gangtok and visit to the Rumtek monastery. Depart to Bagdogra for connecting flight to Delhi. Assistance on arrival and transfer for connecting flight to onward destination.